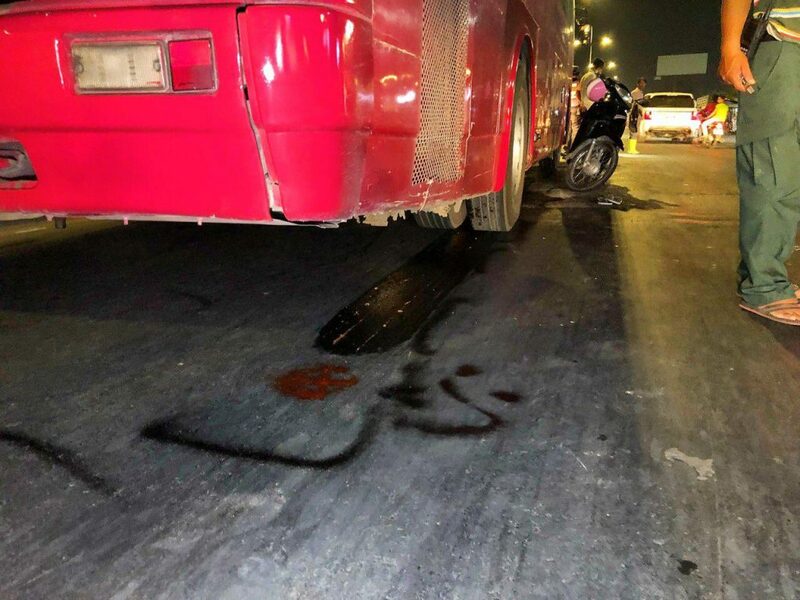 Phnom Penh: A motorcycle crashed with passenger bus and was dragged by the leg for nearly 10 meters. 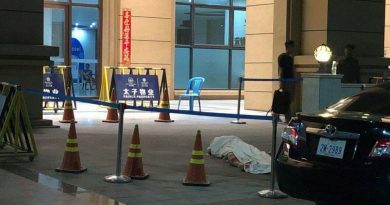 He was taken to the hospital immediately. 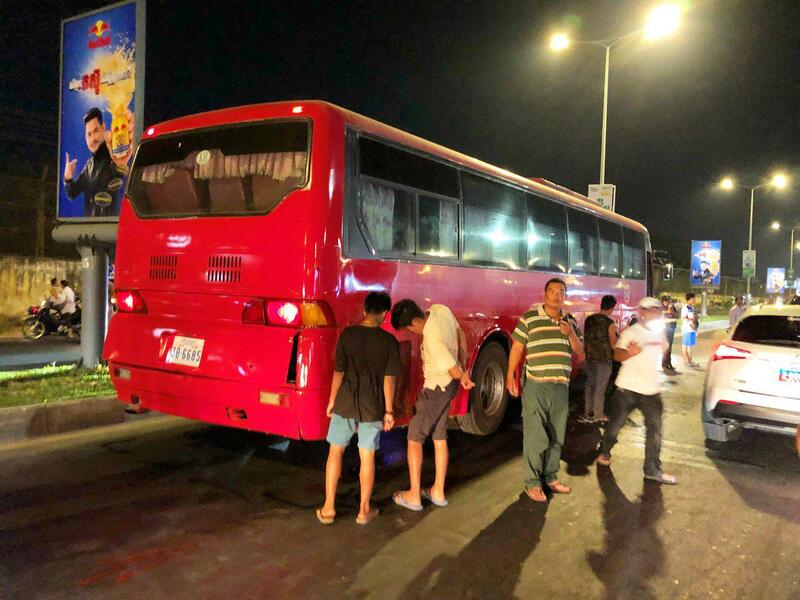 The accident occurred at 8:45 pm on March 4, 2019, along National Road 5 in front of City Bus Station in Russey Keo district, Russey Keo district, Phnom Penh. 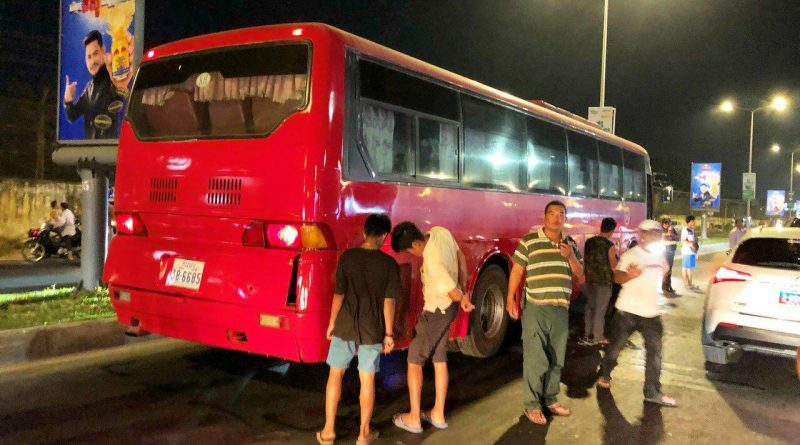 According to the source, before the incident, the man was seen riding a Honda Dream, traveling along National Road 5 From the south when he suddenly crashed into a passenger bus of Phnom Penh Sorya. 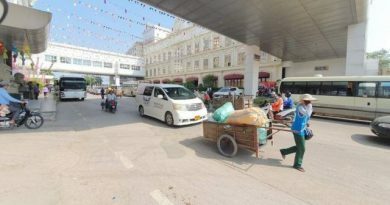 The man was seriously wounded in the thigh and was rushed to Calmette. 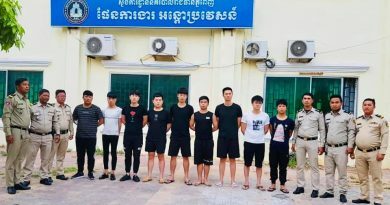 After the incident, the motorbike and bus were measured by the Police Inspector of Russei Keo to wait for further legal settlement. Warning, some graphic images of scene in link.